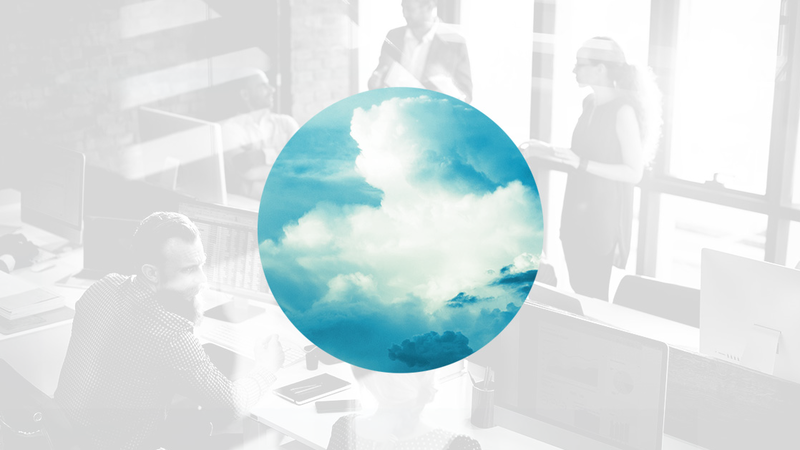 Moving to the cloud can be a big adjustment for your IT team. There’s the learning curve, the migration process, and maybe even a fear that some of their roles will eventually be eliminated. Here’s how to get your team on the same page as you and hyped about the cloud — while easing their concerns or fears. Even a small part of your infrastructure going out of the data center and up to the cloud is going to resonate in a big way with those in your team accustomed to working with on-premises tech. A lot of insecurity about their jobs will come out in the form of opposition to the plan. After all, services from cloud providers like AWS and Azure abstract away the server OS and network layers by design. Your staff might now find themselves at a crossroads. Stay with what they know and face the possibility of leaving (or being fired from) your forward-thinking, cloud-embracing company for more familiar pastures, managing on-site servers and networks elsewhere. Or embrace the change, learn the needed skills, and adapt as the company accepts a new paradigm of IT. IT pros can be a combination of incredibly able and incredibly entrenched. They know what they know, and they know that how they do things is the best way for everyone to operate. Someone willing to bust out of this mold might create a hundredfold value for you and ensure a continued place on your team. The right attitude toward change is one thing, but creating the competence to operate is completely different. We’ve talked before about how to retain talent through training. Apart from keeping the best employees, training will pay off in keeping the lights on. Any plans to move to the cloud will have drastic consequences, if not well-implemented. The best of plans can turn into a tire fire real quick, discouraging higher-ups from any other cloud plans. Where you turn for training is very dependent on the project. Of course, CBT Nuggets is a great resource — but also look to your cloud vendor. Going all in on AWS? Their resources are wide and deep, from online lessons for busy staff to multi-day in-person classes. Moving Exchange from on-prem to Office 365? Better get acquainted with Microsoft’s material to ensure a smooth transition. No one likes change. A shift in attitude and competence are a great start, but seeing the bigger context is great for getting your team on board. A thoroughly-vetted project will start with an operational pain point or infrastructure cost savings measure — keep your team in the loop about these high-level goals. If your IT team members have questions or concerns, listen to them and be upfront and honest with your replies. Be an active listener, not a passive one. This is true of any project, but you need folks on your team championing the change, especially senior staff and leads of the most affected engineers. A junior admin seeing how their mentor is approaching changing tides is much more influential than a boss handing down orders. This is true outside of the IT department, as well as across the company. The only thing harder than learning a new technology is helping all your users adapt. Key people on your side throughout will help shift the mood from dreading change to embracing the benefits to come. No engineer likes the stress and sleepless nights resulting from downtime, and no manager likes that downtime affecting the company’s bottom line. But isn’t one of the benefits always promised by cloud providers a 99.9999999999% uptime? Yeah, a story right up there along with Bigfoot and unicorns. But done right, a cloud deployment can bring much better uptime, along with other promises like scalability and global deployment. Again, done right. That’s where all that training helps out. It is a huge relief for an admin to shut down a particularly accursed server for the last time, knowing that that app and data is up in the cloud now. Greased grooves, fewer emergencies, fewer weekend calls, IT is now filled with superheroes instead of firefighters. These reasons and more should help get your team enthused when it comes time to discuss your next (or first!) cloud project. These projects can be tough, but the benefits for their sanity, their careers, and your company will be worth it in the long term.